There is one fascinating dimension to Deeks that vividly illustrates the path he rejected. It comes in the form of his “alter ego,” Max Gentry. Max represents the meanness and violence of his father. For all we know, Max made his first appearance long ago, perhaps as Deeks was trying to survive in his rough neighborhood. Deeks could have taken all that he had learned from his father about asserting control and channeled it into Max, whose “less than stellar” reputation would have made for a fearsome adversary to protect little Marty from neighborhood thugs. In the pool hall scene of “Plan B,” we get a clear indication of how Gordon Brandel would have treated women. Max threatens to collect his friend’s debt by taking it out on his girlfriend, and then possessively runs his fingers through her hair. It’s a chilling display of how his dad would have seen women as mere possessions to control. Even now Deeks fears becoming Max, telling Kensi that, “Some days it’s too easy” to slip into this role. He realizes what a terrible person Max is and he’s ashamed of himself for carrying this part of his father inside of him. We see this in his desire to keep Kensi as far away from Max as possible, telling her to wait in the car rather than providing back-up inside the pool hall and later in the market. 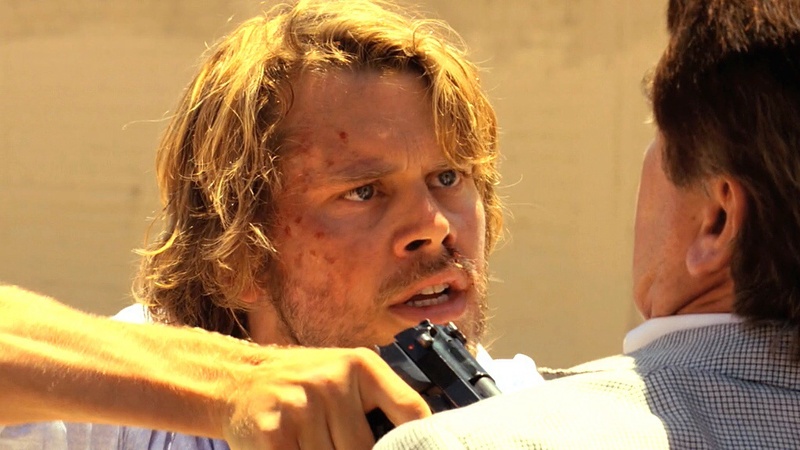 Apart from Max, we get a glimpse of the intense anger that Deeks is capable of, and that his father likely exhibited on a regular basis, at the end of “Human Traffic” when he comes close to killing Scarli. The fact that we’ve witnessed anger like this from Deeks so rarely might be an indication of how hard he works to repress that side of himself. Given his desire to escape his father’s legacy, and his fear that he could potentially fail to do so, it’s no wonder that Deeks gravitates towards strong women. At some subconscious level, they might even provide him a sense of security that he is safe from morphing into Max, from slipping into his father’s violence. They keep him from ever repeating his parent’s painful relationship. Seeing Nicole as in some way a substitute for Deeks’ mom makes his apology to her all the more poignant. No doubt he could have said the same words, about life being difficult, to his mother. It’s also easy to imagine that his mother might have had the same response — that somehow Deeks still managed to be the best thing in her life. And it makes his attraction to brunettes all the more logical, given his desire to avoid repeating the problems of his parents’ relationship. In future installments, we’ll take a look at Deeks’ other relationships and how they fit into his “thing” for strong women. We’ll examine the role it played in winning Kensi over, and how his relationships with the two strong women in his life, Hetty and Kensi, have changed this season. What else might have contributed to this character trait? Was Nicole really the exception to the rule? To what extent did the writers establish this quality in Deeks, and to what extent did ECO imbue it into his character through subtle line readings and expressions? Excellent article – insightful and very well-written. I can only hope that when the writers finally give us a peek into Deeks’ past (and hopefully let us meet his mom) they will live up to the understanding of the character that you have shown here. This is a very in-depth look into the mind of our favorite detective. 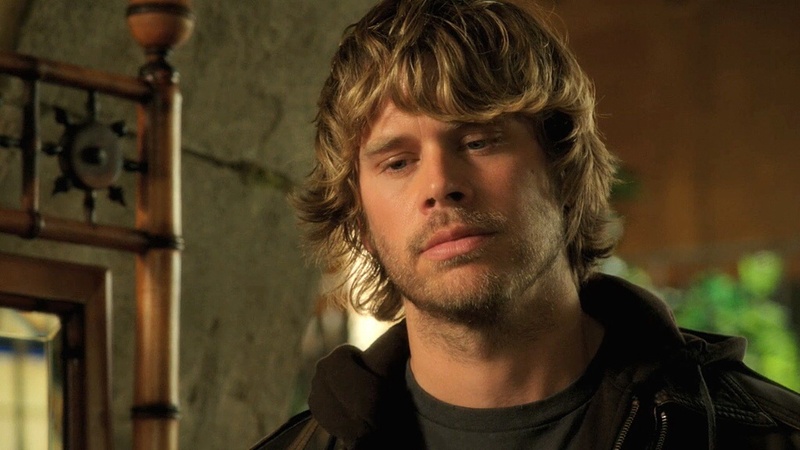 The show has left us with almost nothing to go on about Deeks childhood except for the bare facts that he has no next of kin and shot his father when he was eleven. He has mentioned that his father was a “terrible human being” and that he had a crappy childhood, but other than those few lines…nothing. I think ECO’s portrayal of Deeks in “The Debt” gave us an emotional look inside at what his childhood was like, more than the words in the script. Anonkp’s assertion that Max’s relationship with Nicole mirrored his mother and father was brilliant and makes those scenes in the boatshed even more powerful and important. I am looking forward to the rest of this series of articles and wonder if we might get an exploration into why Deeks willingly seems to accept the punches that Kensi throws at him on a regular basis, including a vicious punch to the jaw. Brilliant analysis…looking forward to more. Excellent analysis in the article! Love it. You asked the question on my mind – why does he tolerate the physical abuse from Kensi? It’s one thing to be attracted to strong women, another to tolerate physical abuse. The patterns I have encountered in my work are mostly relationships with abuser/victim, but some relationships are mutually abusive. So this leads me to wonder if Marty’s mom was also abusive and this is why he doesn’t talk about her at all. Did he protect her because he had a greater affinity for her than for his step-father rather than simply because she was a victim? That would be a much more complex and emotionally fraught situation. Is this why he tolerates Kensi punching him? Even though I ask the question, I don’t think this is the case because his tenderness with those in difficult situations is always evident (even with his buddy who he turned into a snitch rather than arrest him, his Christmas “date” turned out to be volunteering at a soup kitchen, etc), so to me it seems that this affinity is reflective of his identification with his mom as the victim. Which takes me back to – why tolerate the punches from Kensi? Maybe it’s as simple as the fact that he got away from a lot of the effects of his childhood and would never use violence against someone in a relationship, but he did learn to take punches and still bears that as a scar of his upbringing. All great comments! I never thought before how Deeks can get very angry(as in Human Traffic) but we rarely see that side of his personality and how hard he must have to work at keeping that side of himself under wraps. Maybe that is also why he never gets angry when Kensi keeps slugging him. He never wants to imitate his father in that aspect. Great feature…. the next two are also wonderful. Thanks Karen! All I can say about this is ‘Wow’! Well written, well thought out. Made me really think more about why Deeks is the way he is. Absolutely loved it. Well done! Well thought out analysis. Many of the points made have flitted through my head while watching the episodes but I never stopped to truly analyze. The most notable was Ray’s whispered comment to Kensi that Deeks was a sucker for brunettes. And Nicole was anything but. All these thoughts have been floating about but never wrestled into form. Why does Deeks allow Kensi to hit or taze him? It does appear to point to the conclusion that he like strong women. Although I do feel a bit of it is because he is in love with Kensi and she can do no wrong. So, food for thought, indeed. Wow, thanks to everyone for all the kind words about the piece- I truly appreciate the support! Jan, I love your optimism that Deeks’ mom is still alive. It is definitely a question that I look forward to someday having answered. Sweet Lu, I agree that the anguish that ECO gave Deeks when he had to become Max really brought home how painful Deeks’ alter ego is to him, and watching Max felt like a vivid window into his childhood. I have to admit that my initial impression of Max was of a pretty appealing leather jacket-wearing bad boy, but now he just makes me sad for Deeks: as a child for having to live with a father like Max, and as an adult for having to carry around that painful piece of his dad inside him. Dr. Brenda, thanks so much for your insights. You sound like you have a lot of professional experience dealing with people who’ve experienced situations similar to Deeks. What a terrible, dark thought that Deeks might have experienced abuse from both parents- I can’t bear to imagine that so I will go with your alternate explanation! The questions everyone raises here about the punches plural got my attention, because I hadn’t ever thought twice about Kensi’s “little” punches to the shoulder. My take on them was that since Kensi is almost completely unable to express her feelings verbally, she resorts to kindergarten behavior, hitting the boy she likes. And Deeks understands this about her and accepts it as a sign of endearment. Like Reader 1976 said, he’s so in love with her that she can do no wrong in his eyes. Also, a lot of the time she hits because he’s teasing her and she’s unable to think up a witty rejoinder- the punch is her way of fighting back against the teasing. I felt like Deeks didn’t mind because he’s always trying to get her to loosen up and her response at least shows that he’s getting to her, that he’s poking through those famous walls of hers. But now you’ve all got me thinking twice about this. I don’t think we’ve seen signs that Deeks has been abused in his other relationships (unless you count some of Hetty’s behavior in Season Five, but I’ll save her for the Part Three discussion). I love phillydi’s observation that perhaps he doesn’t get angry or fight back because he’s trying to keep the Gordon Brandel side of himself under wraps. It does make me sad to think that he’s tolerated it because, as Dr. Brenda described, he learned to take punches and maybe he doesn’t believe that he deserves better, or just doesn’t expect anything better. While he definitely has decided to take the opposite path from his father, perhaps he is channeling a bit of his mother’s learned helplessness? It all definitely puts a different light on those little scenes that I had, to this point, found cute and funny. And it goes to show what a wonderfully complex character he is. As for The Punch from The Frozen Lake, spoiler alert: there will be more time for that discussion in Part Three, although don’t let me stop anyone from getting a jumpstart on the discussion. Thanks for all the great comments- keep ‘em coming!